Throwing big parties can be a lot of work- all of the preparation, decorating, and actually spending time with guests is chaotic. 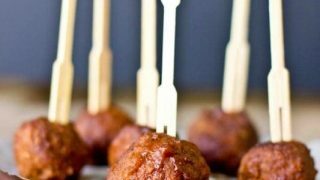 This recipe for the best BBQ crockpot meatballs makes any group gathering effortless- it is an easy, delicious appetizer that takes just two steps, and can stay warm through your whole party in the crockpot. It’s easy to pass out, easy to eat when served with toothpicks, and requires very little cleanup. Oh- and it is DELICIOUS as leftovers, and can be refrozen if you have lots left! We like to eat this as BBQ meatball sandwiches, as an appetizer, and our kids love them. We also sometimes bring this to church potlucks or other big gatherings- they are always the first thing gone. AND- you can easily make these to be gluten free! 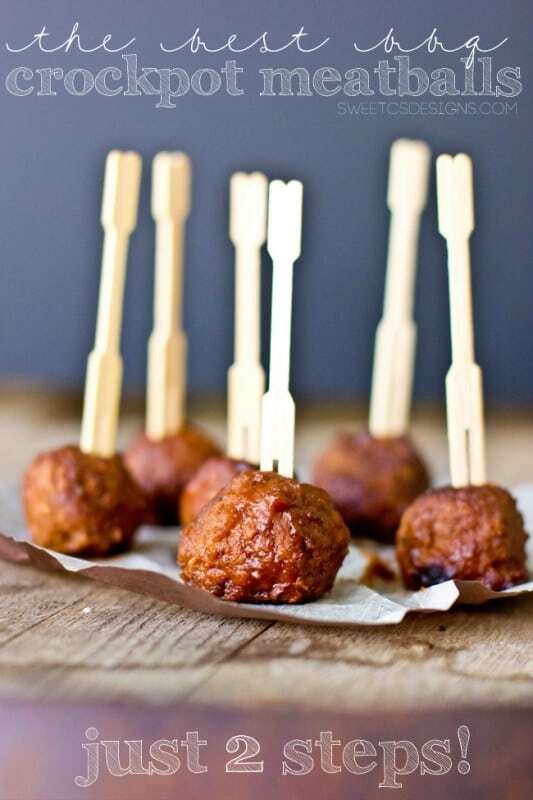 Since more and more warehouse stores (and other large grocery stores) are carrying more gluten free products, it is easy to buy pre-made gluten free meatballs so you can have an easy appetizer for those with allergen sensitivities. I also have a really easy paleo meatball crockpot recipe if you want to avoid even more allergens and sugar. These do get cool quickly, and taste best warm. I usually keep them in the crockpot and plate up just a few with toothpicks at bigger gatherings. Add meatballs and other ingredients to crock pot and stir to combine. Set on medium for 2-3 hours until hot, stir occasionally to ensure equal coating/cooking.